● Renewable: they only release that amount of carbon the plants absorbed from photosynthesis. ● Clean: they do not discharge air pollutants, so they are environmental friendly. ● Cheap: generate more heat than natural gas, oil and electricity but cost the least. ● Easy to transport and store: can be packed in bags to be clean and convenient for transportation, and much safer than gas and electricity. We have premium quality pellet mills made in China that are affordable to YOU! 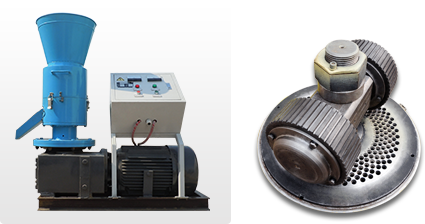 Flat die pellet mill is small scale pellet mill used in small businesses, farms or at home. It needs little investment but brings high output! Ring Die Pellet Mill is large scale industrial use pellet mill. The low production cost in China gives our wood pellet mills competitive price! 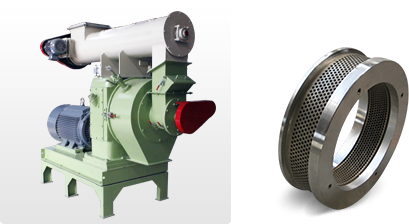 Through thousands times of tests, GEMCO has developed the durable and most suitable wood pellet mills dies for different biomass materials.The die that we choose for your specific material can produce the best results. Whether you want to make pellets for own use or for sell, we'd like to hear from you and become your reliable partner. We are Experienced: our experts can give you professional guidance on pellets production. We are Professional: we provide training, installation and trouble-shooting to all your problems. We are Trustable: we offer all-embracing after sales service. We are your reliable partner.